>>>> Two Day ’ s National Level Technical Fest on “ YOUNG SPRINGS-2K16 ” on 29th & 30th July 2016. Our vision is to accomplish the envisioning about indulging in imminent teaching standards, for fostering the engineering sectors and graduates. The mission to pursue the greatest standards is committing ourselves in the implementation of innovative and proactive measures. Our goal is to transform thousands of students into a fleet of exceptional engineers, whose services are of utmost importance to the world. 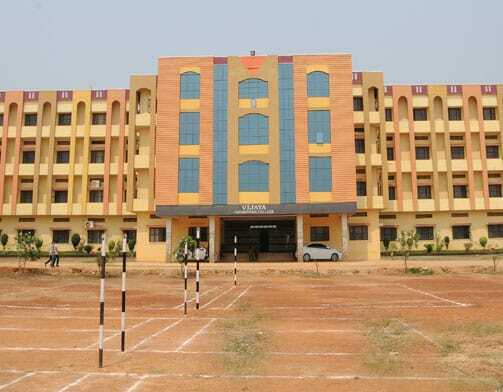 Vijaya Engineering College, situated amidst the plush greenery of Ammapalem Village, near Thanikella (Konijerla Mandal), Khammam District, very far from the unhealthy lifestyles, excessive pollution, unbearable noise distractions, etc. of the urban areas, offers the engineering students with excellent education, to hone their technical skills, and make them successful in the engineering sectors. We are recognized as one of the prominent engineering colleges in khammam. Located in a spacious 10.6 acres, Vijaya provides vast buildings to accommodate various classrooms, laboratories, computer centers, etc. Due to the imminent features available in our campus, the students are never out of any kind of academic facilities. Since our inception in 2007, we have turned thousands of students into immaculate engineers. Our teaching staff, who got the highest educational qualifications and years of teaching experience, train the students to make them perfect in all the engineering aspects, and enlighten them with the necessary tips and tricks to help them perform excellently in the academics to acheive best results. Vijaya Engineering college is an AICTE Approved college and is considered to be Best B.Tech college in Khammam as per recent survey. Vijaya Engineering college has graduated more than 2000+ Engineers till date and the college is affiliated to JNTU Hyderabad. Vijaya is known for best placement engineering college in khammam in offering excellent training sessions for final year students and has helped more than 800+ students to attain perfect placements. Vijaya has highly advanced and well stocked centralized library. It has more than 27,000 volumes,126 national and 87 international journals, fully automated digital library, periodicals, magazines & online journals.The Library has fully computerized automated system for the transaction of the books and other reading materials. The labs of our college elude excellent infrastructure, which enable our students to earn practical expertise in the important aspects of various engineering sectors. We are providing with the tasks regarding the real time application of industrial projects, and they work upon them in the laboratories. Sports and games are preferred very much in Vijaya. Since these activities can play a crucial role in the physical and attitude development of the students, we offer the required facilities and infrastructure to make our students indulge in their favorite games and sports. College is where you build your future. Join Us Today. Vijaya is Approved by AICTE, New Delhi and affiliated with the JNTU Hyderabad. The college offers excellent training sessions for final year engineering college students and has helped more than 800+ students to attain perfect placements. Vijaya Engineering college offers good placements and the college provides excellent training facility for the students.